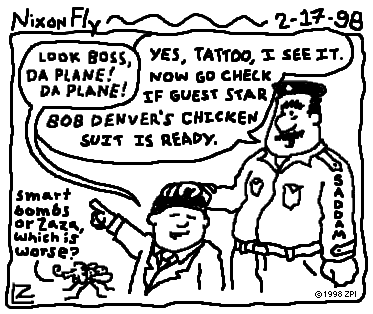 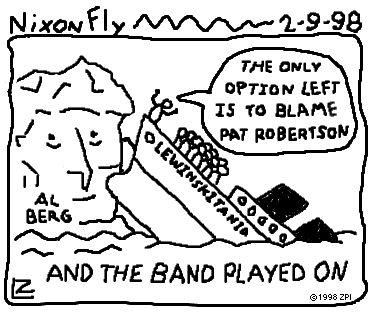 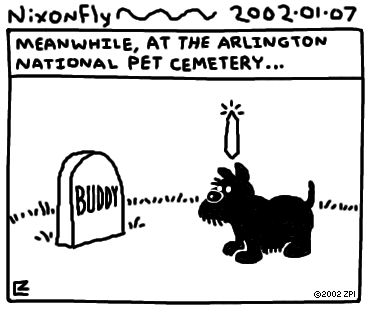 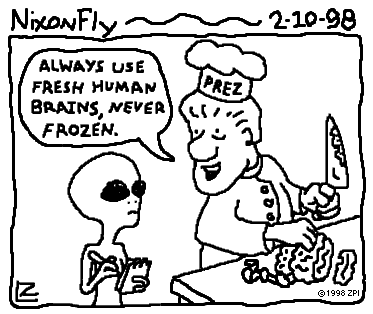 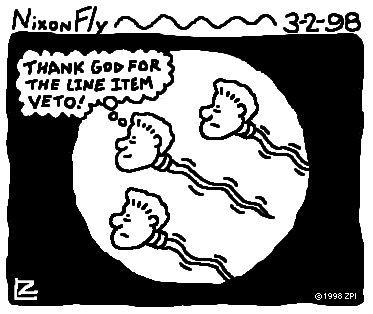 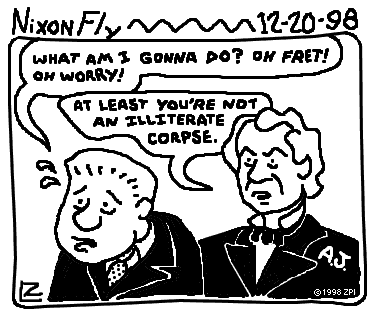 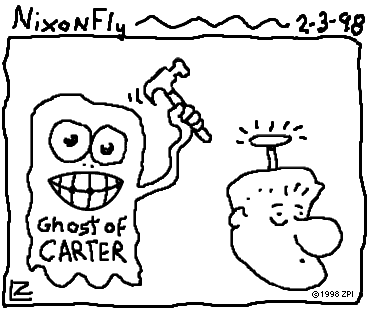 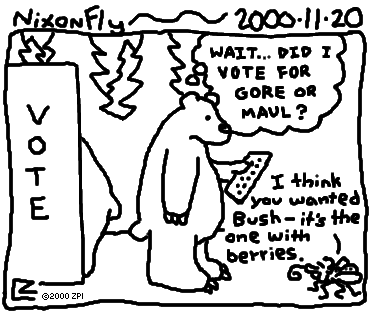 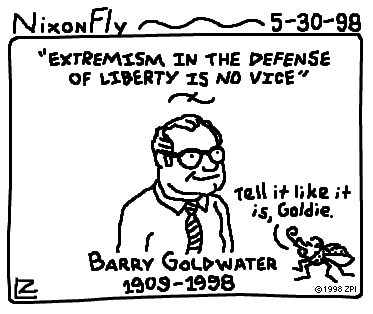 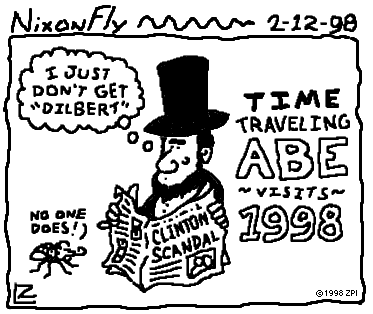 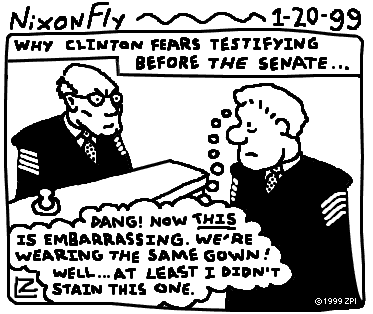 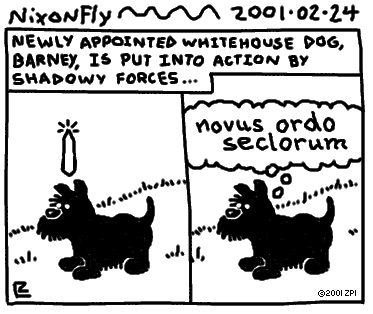 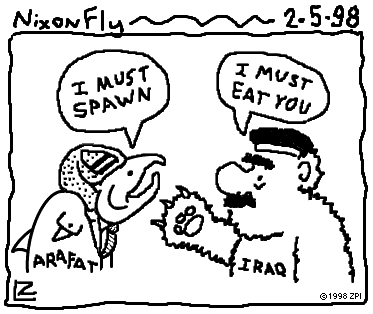 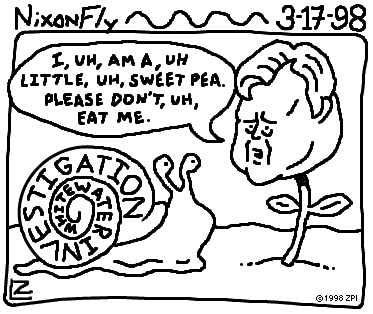 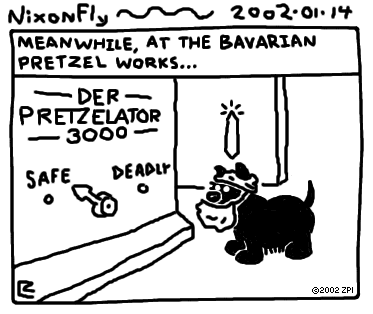 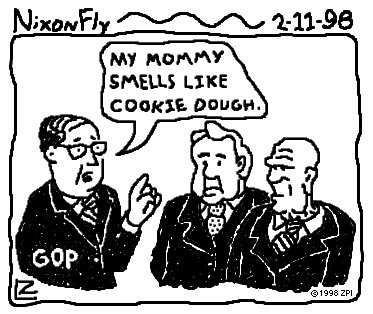 Welcome to the NixonFly site, your exclusive source for NixonFly political cartoons. 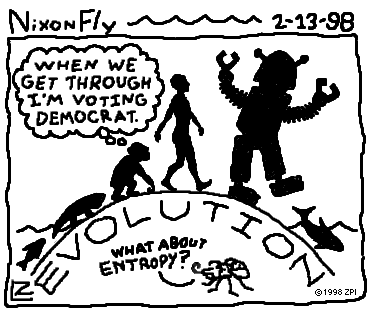 I, Lyle Zapato, your humble cartoonist, have strived to craft a political cartoon that utilizes cutting-edge cartoon theory, advanced forms of symbolic humor, phenomenologically based art, and a non-linear political gestalt. 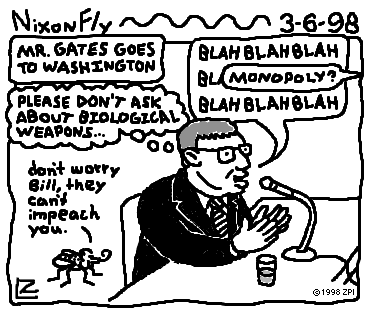 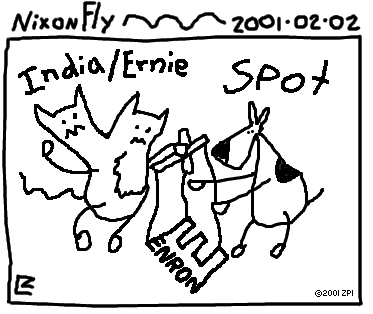 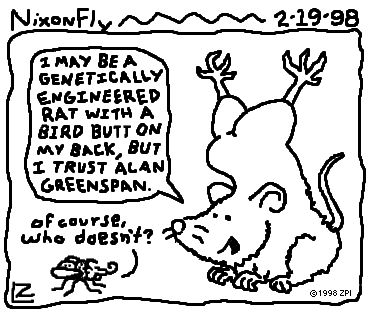 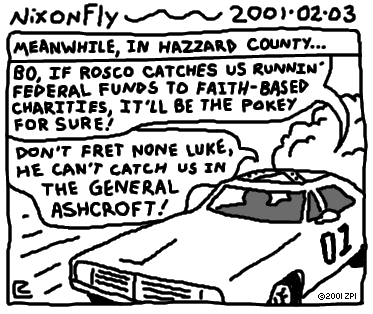 Since exhaustive research and development goes into each NixonFly political cartoon (including but not limited to: computer-based humor modeling and tuning, polylinguistic metaphor analysis, spell checking, and animal testing,) new NixonFly political cartoons will appear on an irregular basis, depending on my available time. 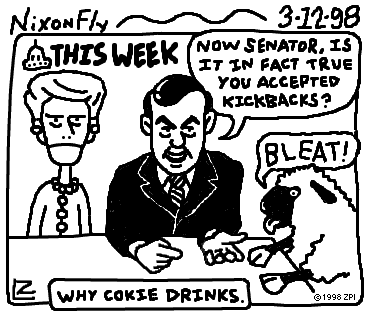 In the future, I hope to create a software algorithm that will create NixonFly political cartoons automatically when given seed news articles, thereby freeing myself to pursue my passion for robot dancing. 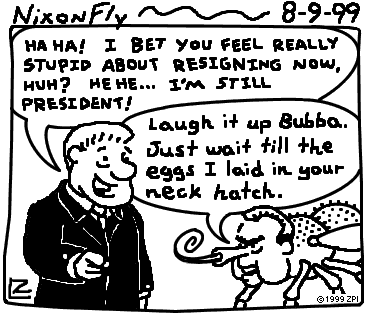 The original premise of the comic was that it was made entirely of random political cartoon rhetorical devices and clichés assembled with no actual meaning, except that supplied by the viewer's pareidolia. 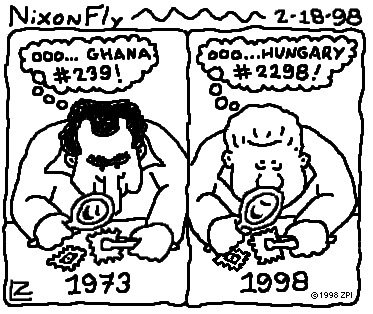 NixonFly himself was the best of a number of doodles I made on a sheet of scrap paper while contemplating this idea, and thus became the cartoon's namesake/Oliphantian metabug. 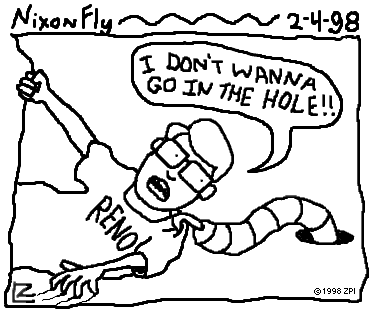 While I started making them using this premise, given the tediousness of that concept it soon gave way to mere topical references, body horror, and eventually self-reference. 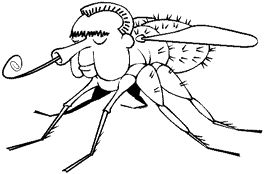 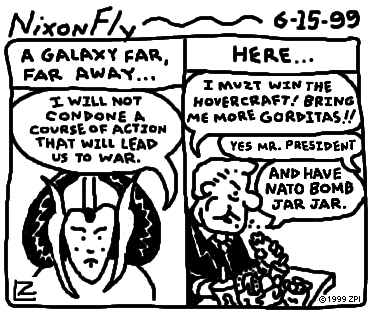 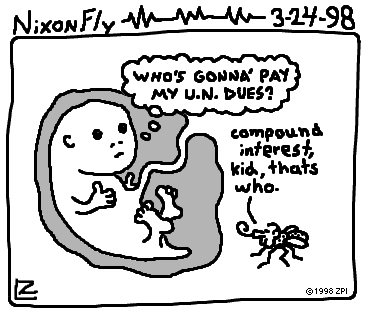 Now that we're in a golden age of LOLRANDOM meme-based humor, perhaps NixonFly will be appreciated as being ahead of its time. 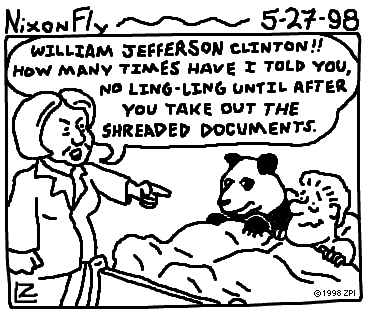 But probably not. 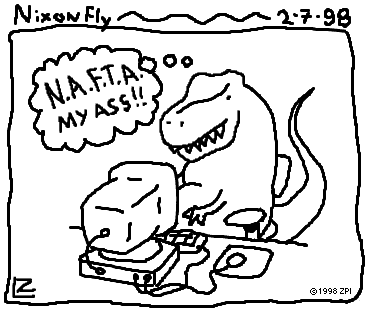 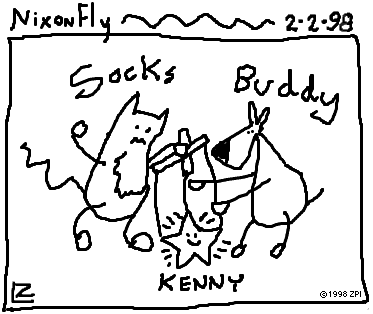 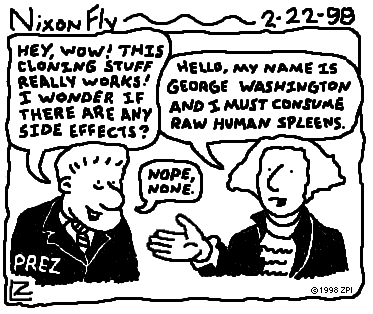 The first NixonFlys were drawn using Deluxe Paint IV on an Amiga, which dictated their style. 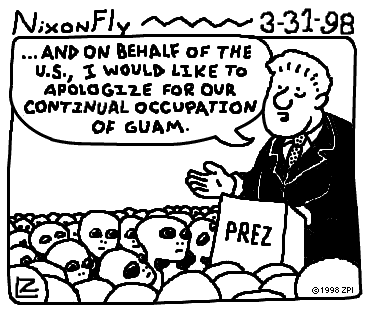 Later ones were done in Gimp with brush/anti-aliasing settings to match the originals for consistency. 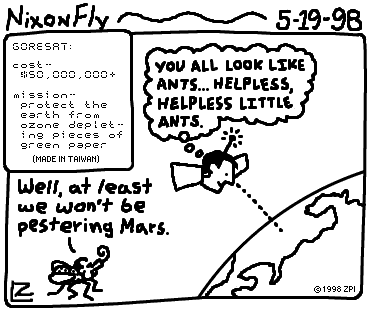 They took longer to draw than their crudity may suggest since using a fat brush with a mouse makes small details, especially legible text, an exercise in draw, undo, draw, undo, etc. 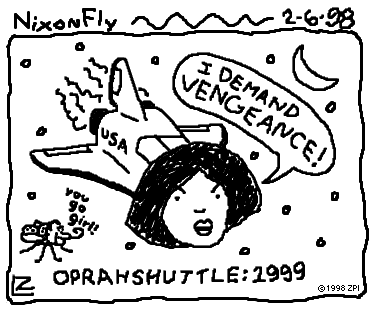 Bonus: Annoying fly sound that used to auto-play when you loaded this page. 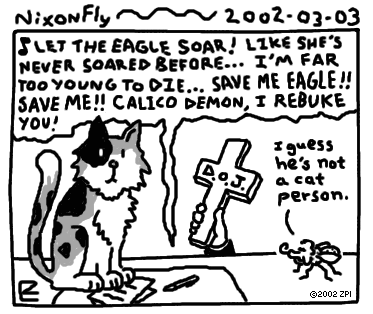 Apparently it causes cats to freak out. 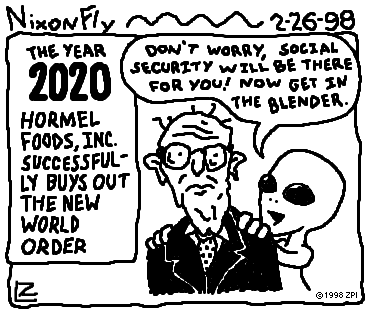 Y.R. 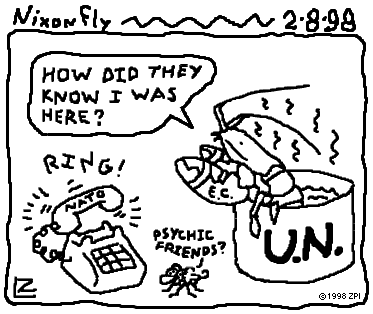 Tap, the NSA domestic spying fly. 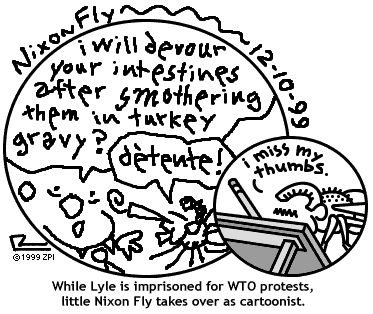 Also a political cartoon starring a talking fly who likes to surreptitiously tap(e) people.